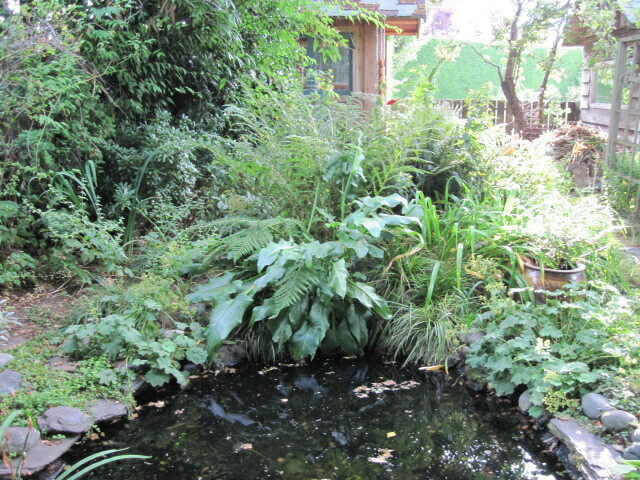 The pond is not at its best in August! 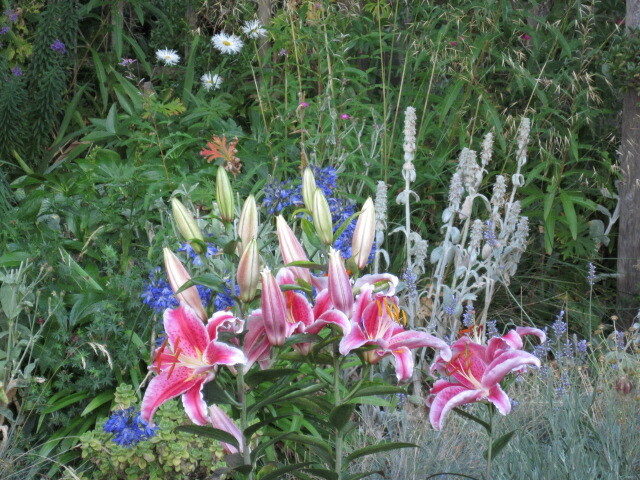 "Star Gazer" lily with Agapanthus in the background. 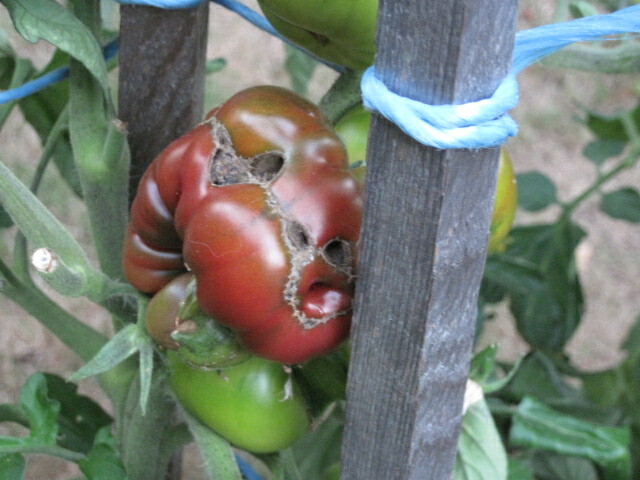 First red tomato of 2011 -- a weird looking "Black Krim"